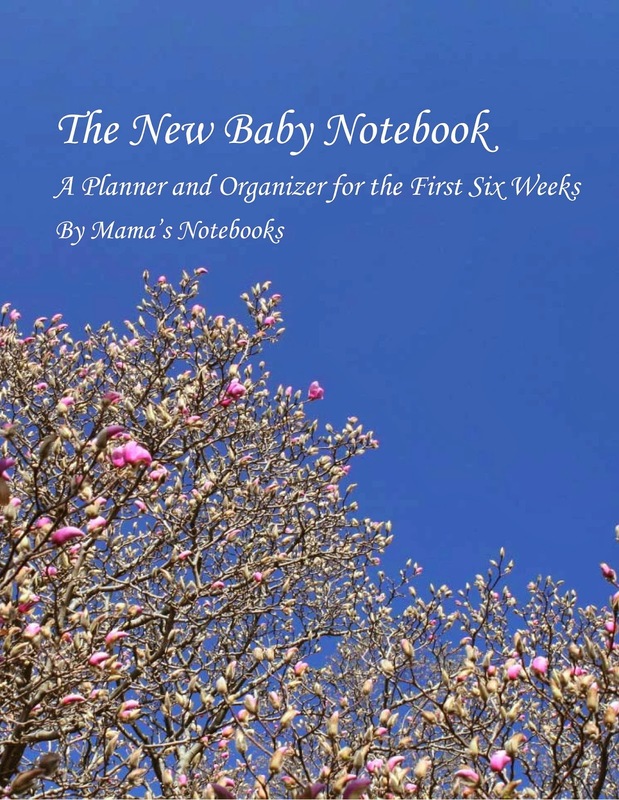 Mama's Notebooks has another new product: The New Baby Notebook. This notebook is designed to help you in your first six weeks with your baby. The New Baby Notebook provides you with one place to keep track of your family’s needs. In the front of the book, you can record all of your important phone numbers so that you don’t have to go searching for them when you need them. 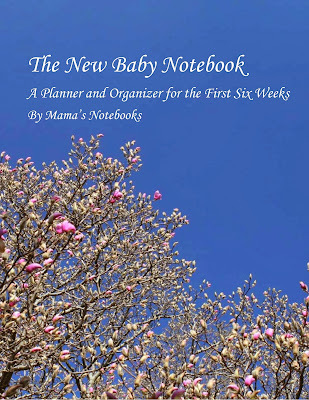 Organized by weeks, this notebook provides a simple daily calendar, meal planner, and to do list alongside a daily feeding & diaper record, as well as a checklist for taking care of you. You can open the notebook and see your entire week at a glance! In the back, there is a place to take notes on baby’s sleep as well as reference sheets to fill in for your freezer meal inventory, a standard shopping list, go to meals and snacks, a list of books and movies for when you need them, and a thank you card tracker. The meal references are designed to help you streamline easy meal planning on the calendar pages. Of course, there is also plenty of room for notes. Come to our webstore to buy one now.